Within the first 150 million years after our solar system formed, a giant body roughly the size of Mars struck and merged with Earth, blasting a huge cloud of rock and debris into space. This cloud would eventually coalesce and form the moon. For almost 30 years, planetary scientists have been quite happy with this explanation–with one major exception. Although this scenario makes sense when you look at the size of the moon and the physics of its orbit around Earth, things start to break down a little when you compare their isotopic compositions–the geological equivalent of a DNA "fingerprint." Specifically, Earth and the moon are too much alike. The expectation has long been that the moon should carry the isotopic "fingerprint" of the foreign body, which scientists have named Theia. Because Theia came from elsewhere in the solar system, it probably had a much different isotopic fingerprint than early Earth. Now, a team of scientists at the University of Maryland has generated a new isotopic fingerprint of the moon that could provide the missing piece of the puzzle. By zeroing in on an isotope of Tungsten present in both the moon and Earth, the UMD team is the first to reconcile the accepted model of the moon's formation with the unexpectedly similar isotopic fingerprints of both bodies. 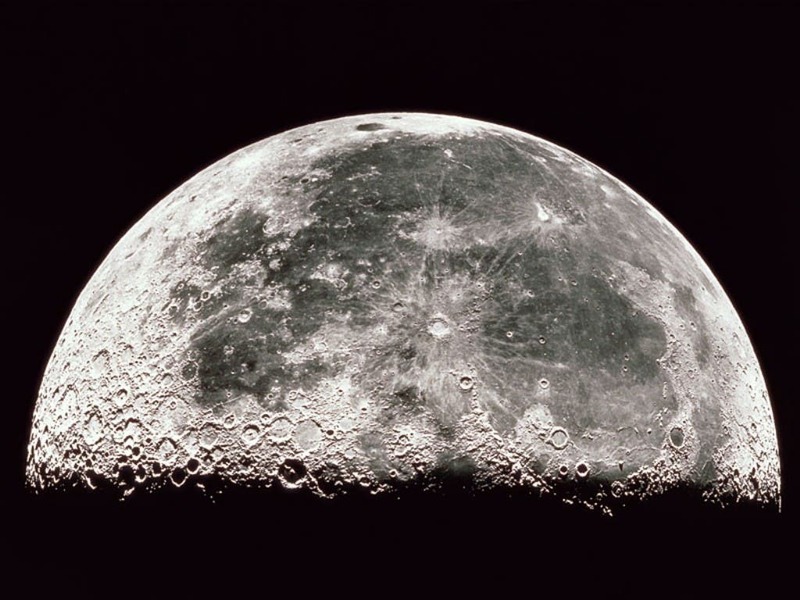 The results suggest that the impact of Theia into early Earth was so violent, the resulting debris cloud mixed thoroughly before settling down and forming the moon. The findings appear in the April 8, 2015 advance online edition of the journal Nature. "The problem is that Earth and the moon are very similar with respect to their isotopic fingerprints, suggesting that they are both ultimately formed from the same material that gathered early in the solar system's history," said Richard Walker, a professor of geology at UMD and co-author of the study. "This is surprising, because the Mars-sized body that created the moon is expected to have been very different. So the conundrum is that Earth and the moon shouldn't be as similar as they are." "The small, but significant, difference in the Tungsten isotopic composition between Earth and the moon perfectly corresponds to the different amounts of material gathered by Earth and the moon post-impact," Walker said. "This means that, right after the moon formed, it had exactly the same isotopic composition as Earth's mantle." "This result brings us one step closer to understanding the close familial relationship between Earth and the moon," Walker said. "We still need to work out the details, but it's clear that our early solar system was a very violent place." Existing Glaciers of Mars –"Could Cover the Entire Red Planet with One Meter of Ice"